New to cross dressing. Do you know any great studios in NYC to start me on my journey. Sometimes I wish I could relive those early days of transforming, at least temporarily, my gender. I have been transgender even before I knew the word existed. I wrote a small article on Miss Vera not too long ago which you can read here. Your journey will be your own, and all of our journeys are different from each other and end at different places. Transforming your gender is about creating yourself. This is something you learn. This is something you learn by doing. It can be a humbling, frustrating experience. I have no doubt that you’ll have an amazing time at any studio you visit. Just be prepared that professional work is not free. My only caution is that your first (or one of your first) experience with makeup is with a professional makeup artist. You will look amazing, you’ll feel even more amazing-er. I know that’s not a word. However, depending on how often you dress up, it may not be realistic to be able to visit a professional each time you want to get glammed up. Eventually you’ll have to learn to do your own makeup. If you’re like most of us, your first few attempts at makeup will be disappointing. It took a long time for me to be happy with doing my own makeup. But the more I did it, the more I learned and the happier I was…my skill and confidence grew. 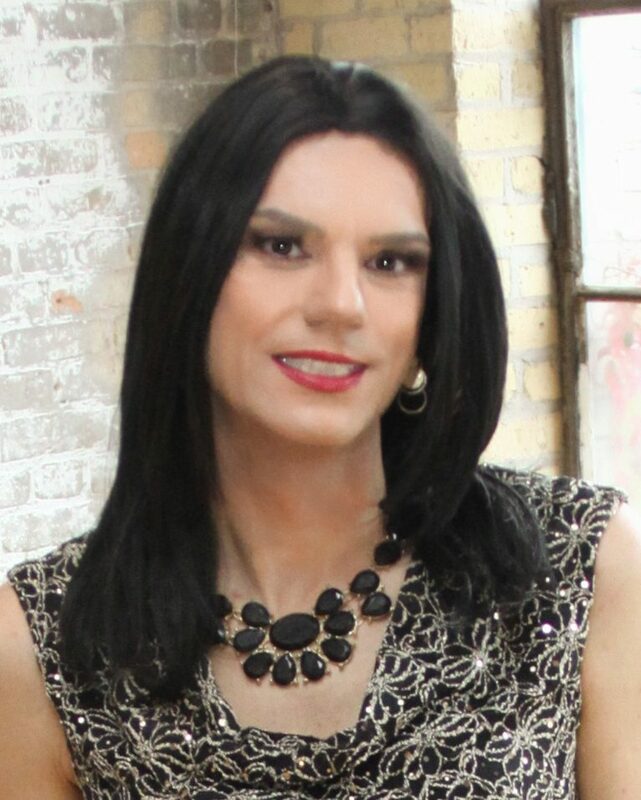 It was a few years of doing my own makeup before I had a professional makeover, and a few years after that until I had a makeover with someone who had specifically trained in the art of gender transformation. I am still amazed at the magic Corrie at Midwest Makeup Supply can do. I’m glad I had been doing my own makeup for years before I had these experiences. Had I visited with Corrie or another professional that early in my journey I would have been incredibly discouraged when I did my own makeup after that. The photo on the left was one of my first attempts, probably taken about six years ago. The one on the right is from earlier this month. If I had started with a professional makeover my heart would have sunk as I would not (nor will I ever) be able to duplicate what Corrie did, but these days I am happy with my makeup. But it took some time. Working on your look has a lot to do with keeping your expectations realistic and always, always practicing. I’ve said it many times before and it will likely be etched onto my neon pink tombstone, but crossdressing takes time, practice and money. Don’t get discouraged when it’s time to do your own makeup after visiting with a professional. Don’t be too hard on yourself. Don’t give up.